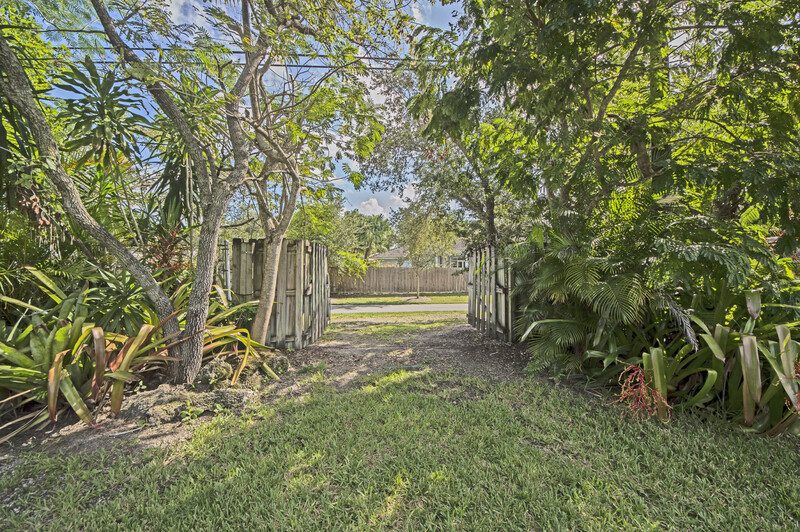 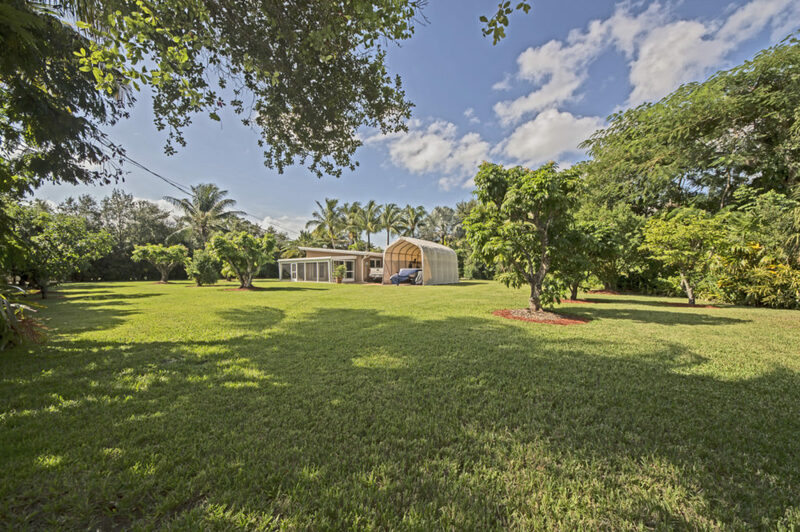 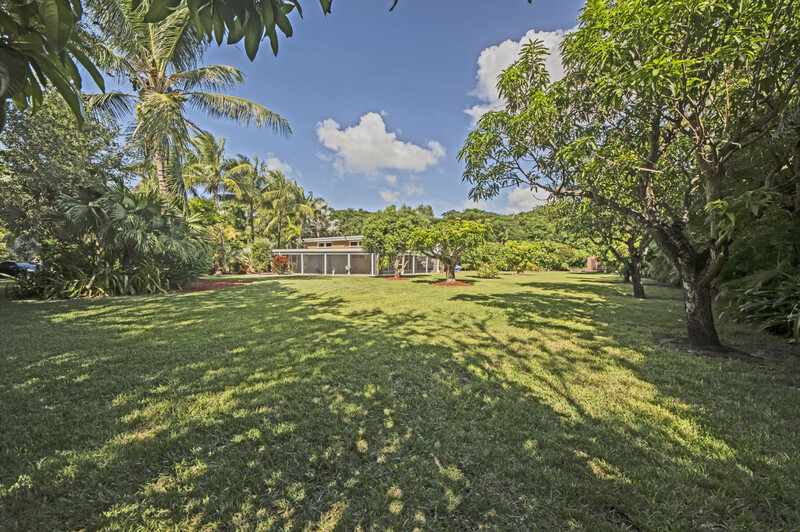 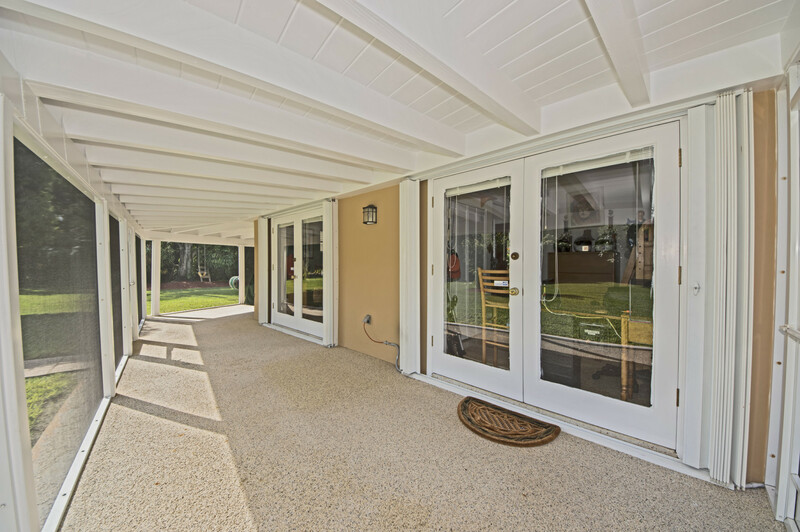 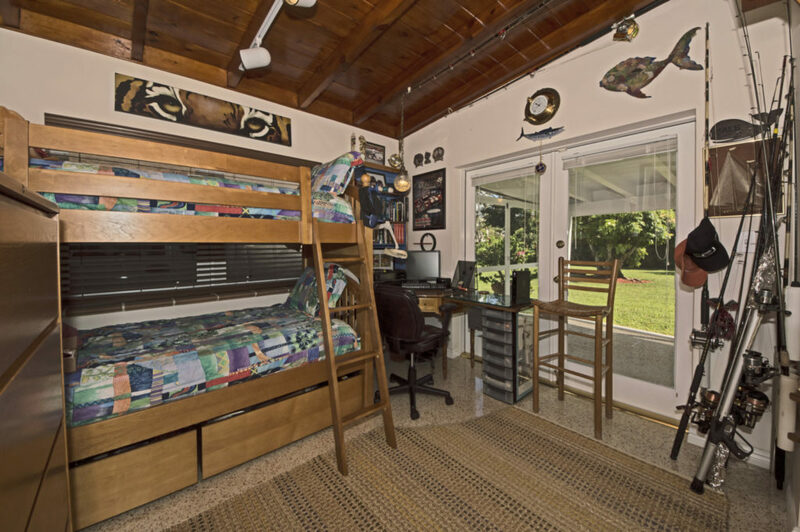 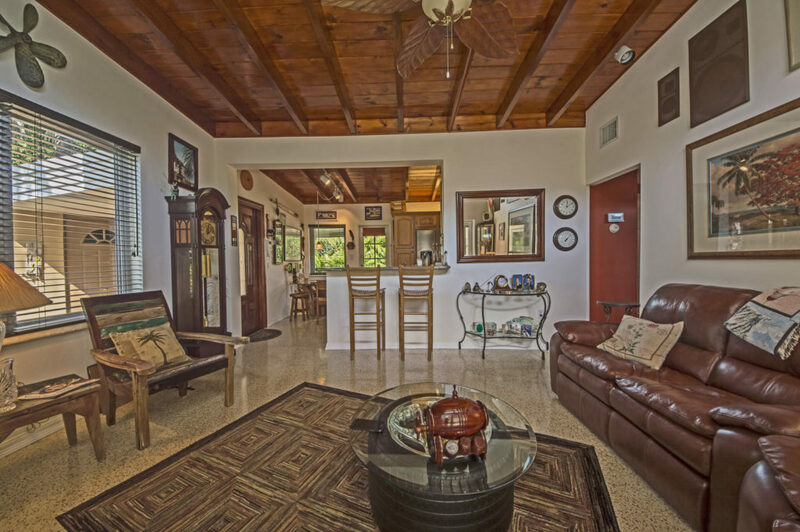 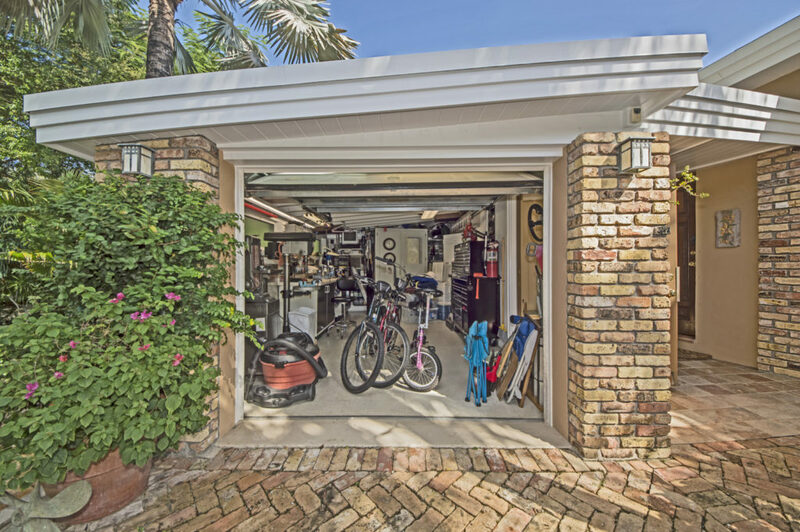 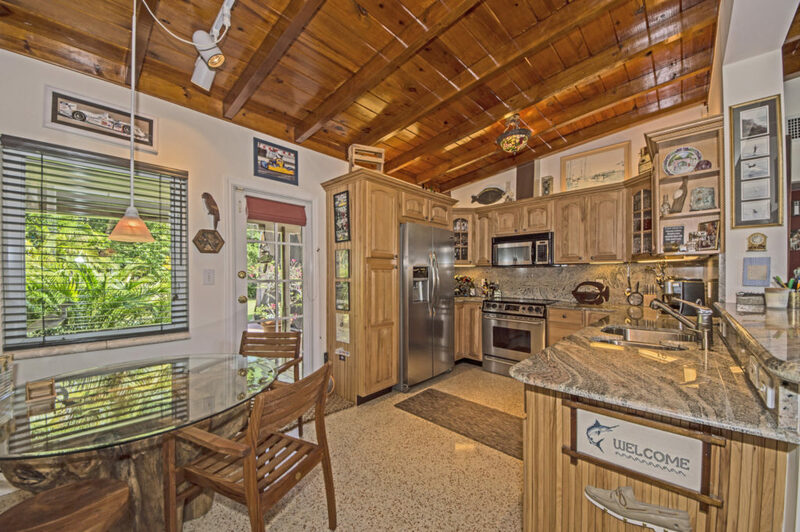 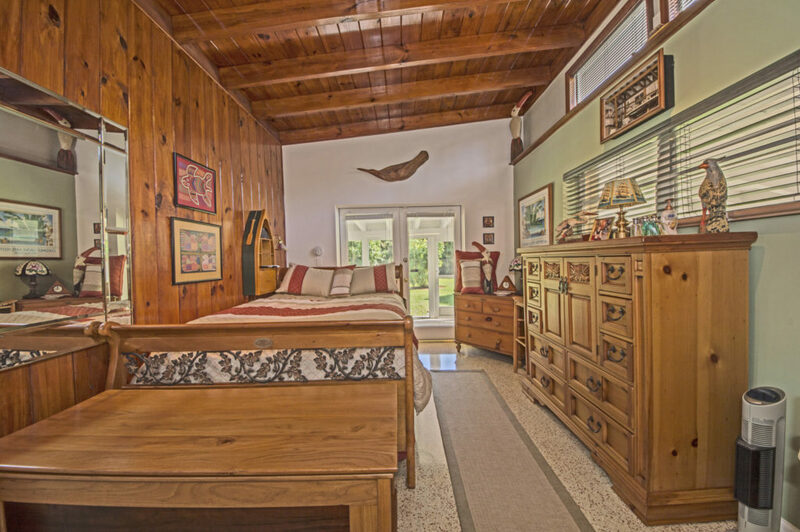 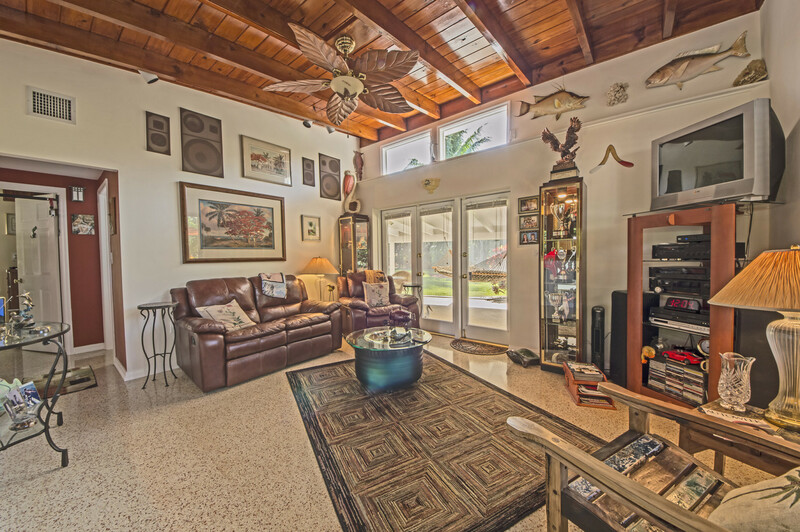 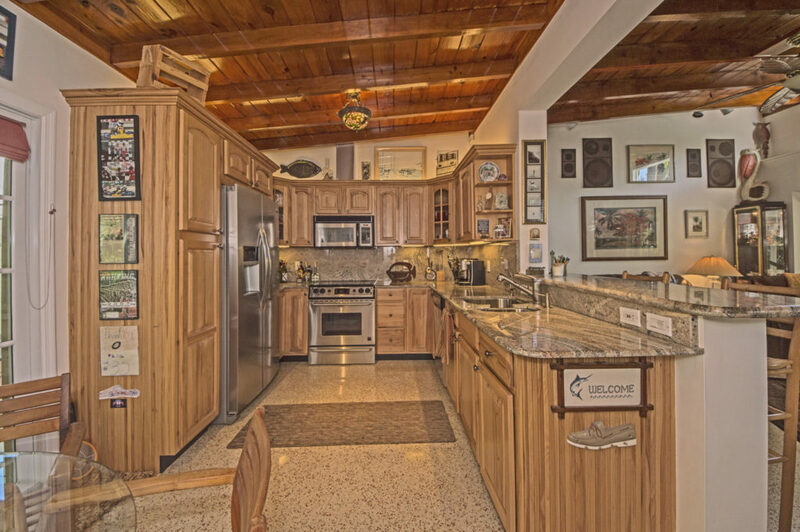 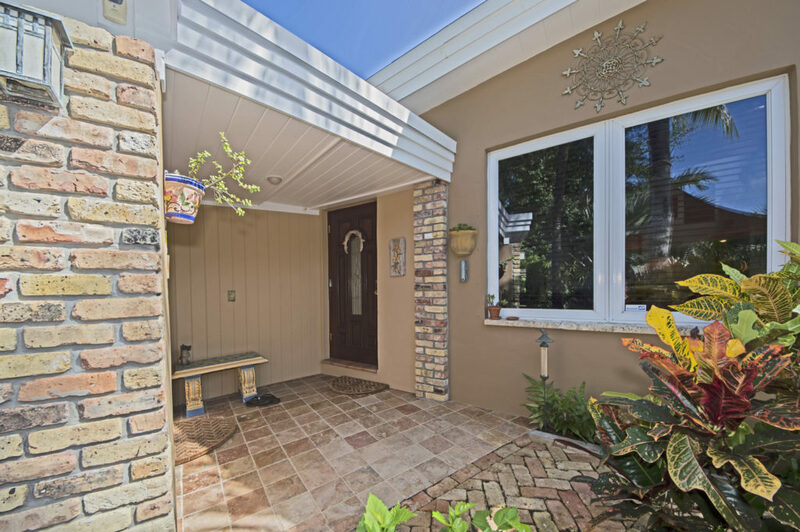 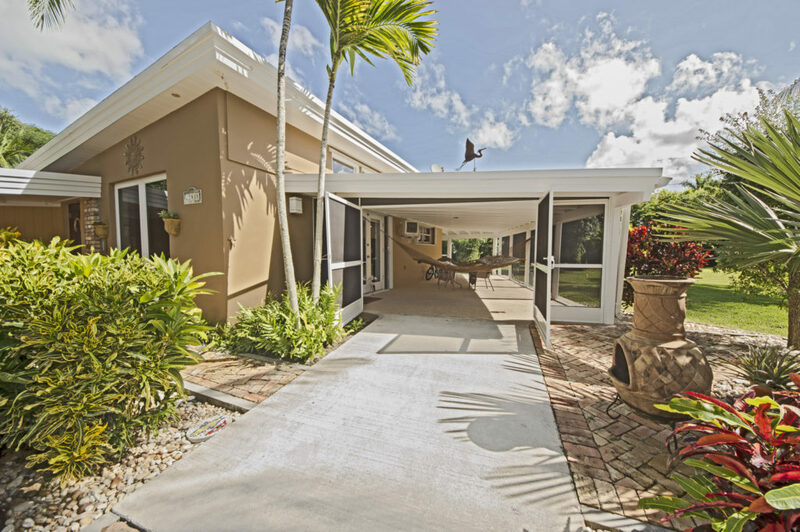 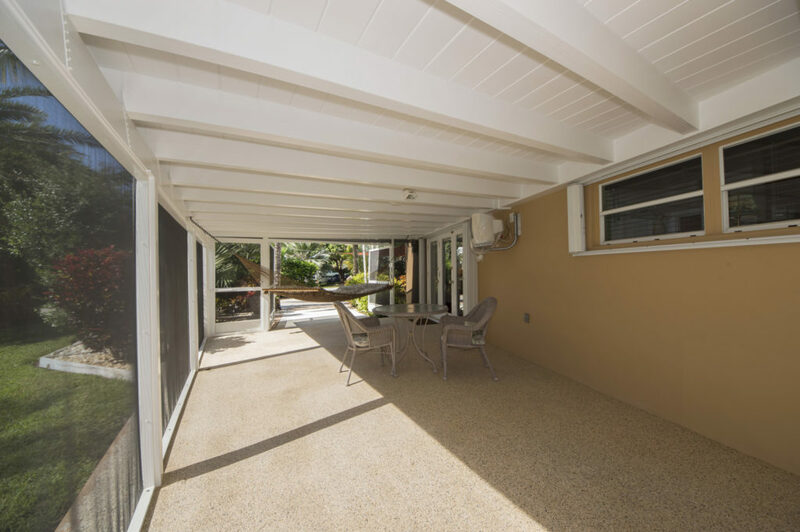 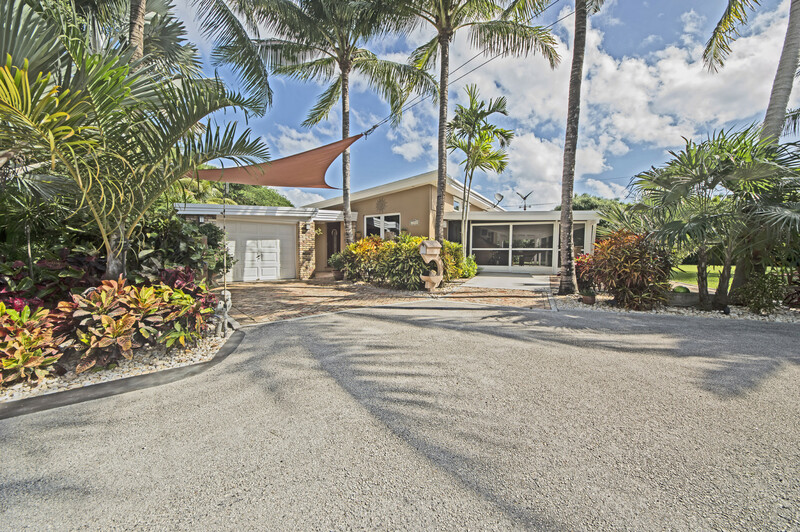 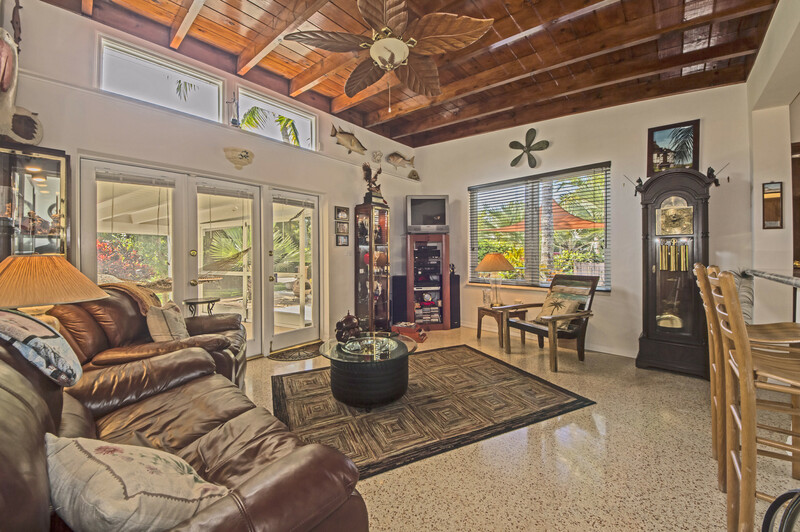 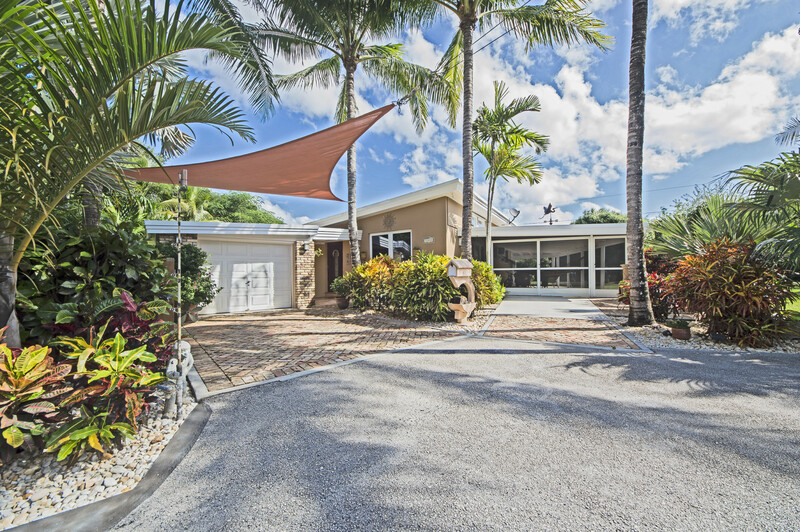 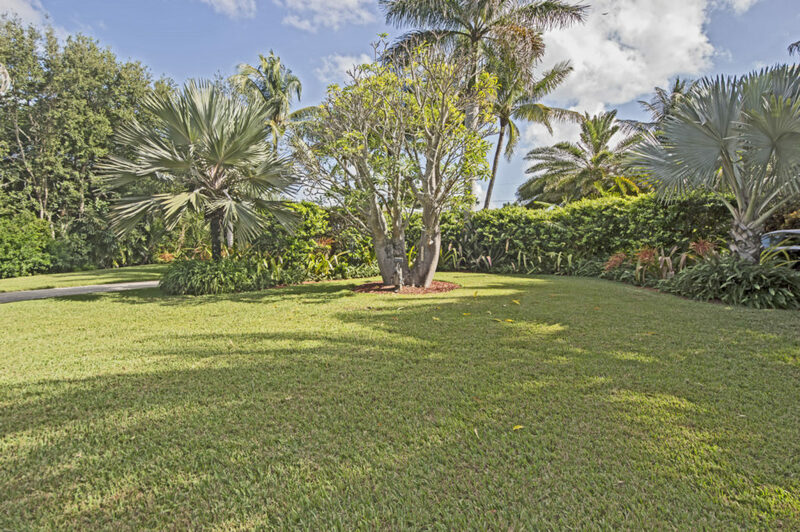 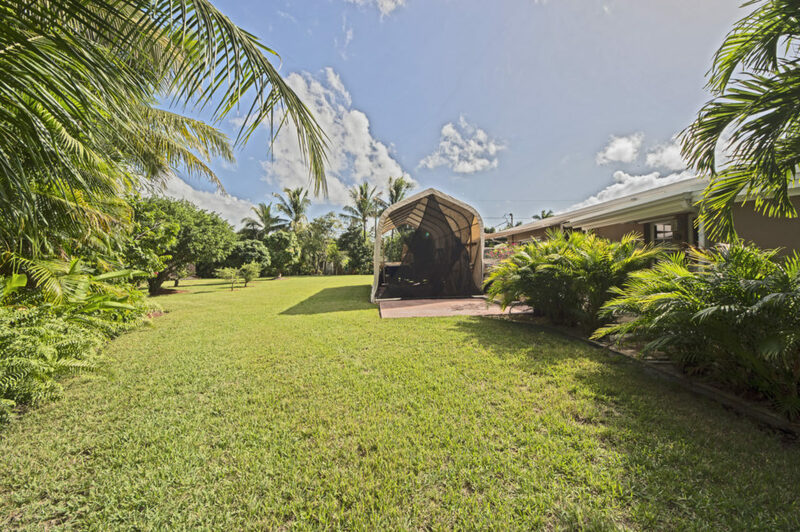 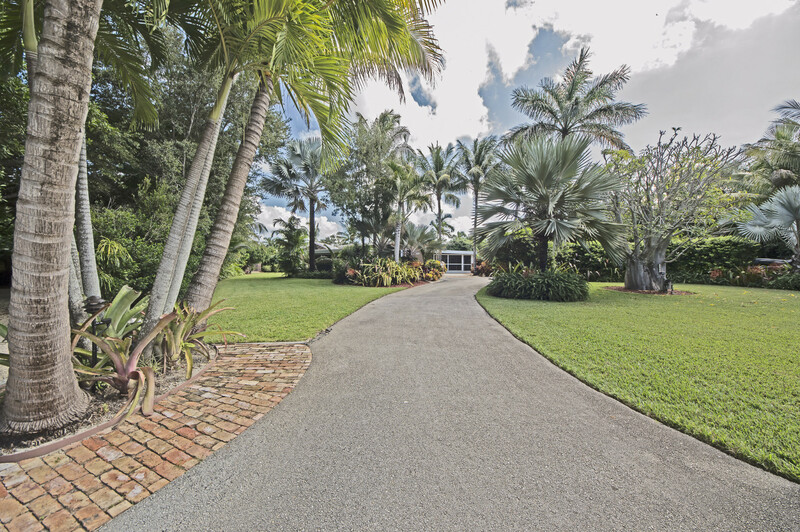 Lush, tropical acre East of Old Cutler sits this meticulously maintained “Grove” style home with beautiful terrazzo floors, open vaulted beamed ceiling and completely redone kitchen with granite, wood and stainless. 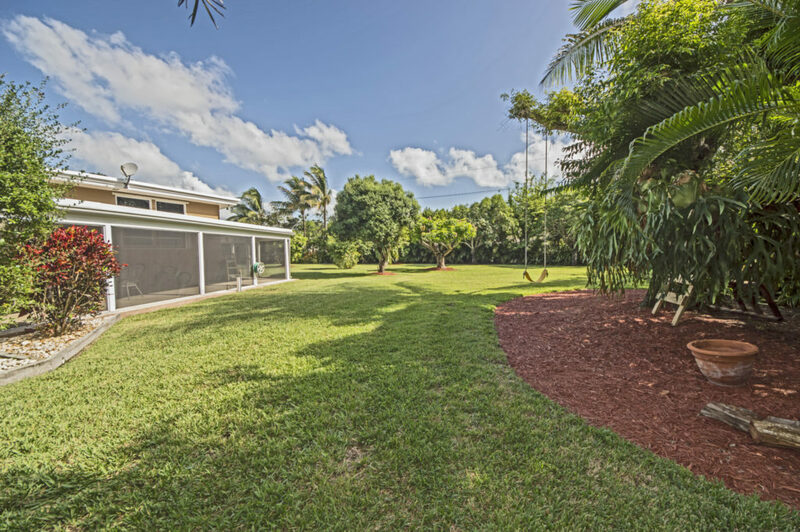 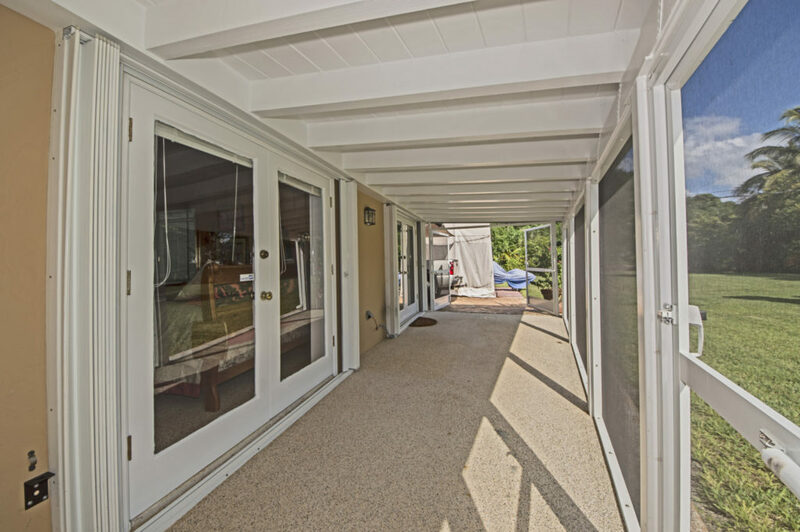 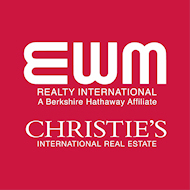 Large screened in patio overlooks this gorgeous acre with 25 varieties of fruit and nut trees, total privacy, beautifully manicured + boat storage and shed. 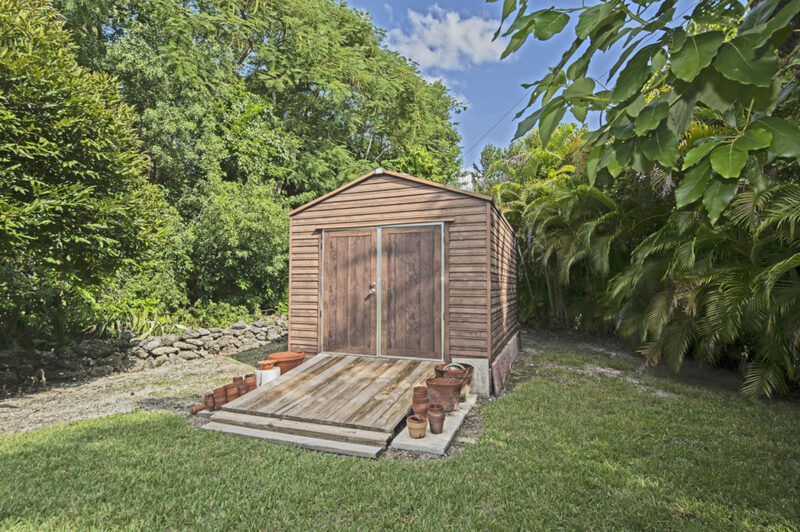 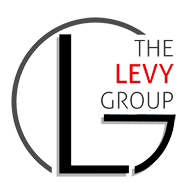 Perfect for expansion or building. 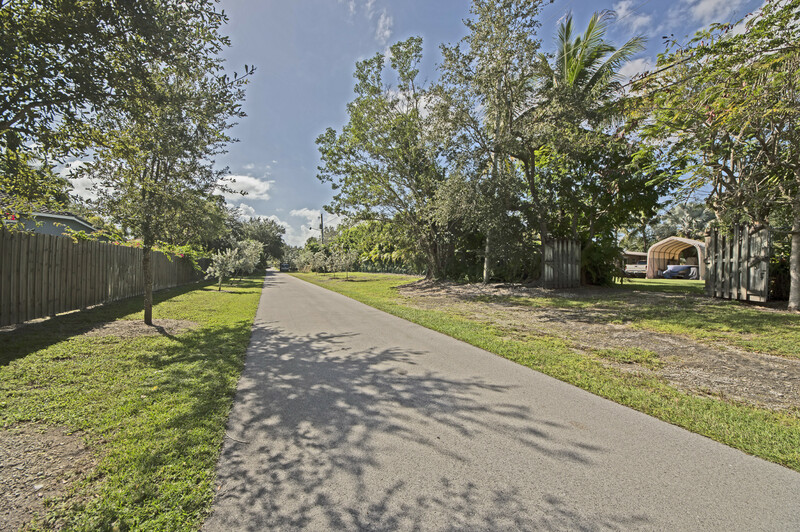 Cartee is one of the prettiest streets in Palmetto Bay.